I have a long-standing interest in aquatic ecology. I studied freshwater diatom ecology during my B.S. at Universitas Diponegoro in Semarang, Indonesia and M.S. at the University of Oklahoma, Norman. Following my B.S. 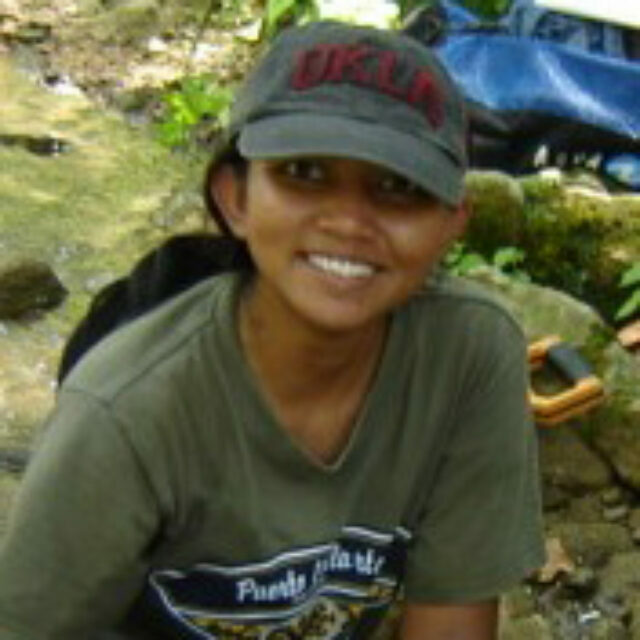 degree, I worked as a laboratory analyst in a shrimp farming company in Indonesia, where I became involved in research and monitoring on marine plankton populations as a food source for shrimp growth in commercial ponds. For my M.S. degree, I studied the habitat specificity and the ecology of Lemnicola hungarica under the supervision of Dr. Elizabeth A. Bergey. Now, I am interested in ecology and evolutionary history of diatoms.